Just wanted to share for a moment how amazing some people and places are. He dropped me off at the terminus, he picked me up when I got hurt and brought food and drinks for my trail family, he took me to my mama’s to heal, and then took me back to the trail where he hiked with me for two days. He learned how brutally cold it is to hike at nighttime without the proper attire (he had to put socks on his hands to regain feeling in them), he learned that tuna and hot sauce in a tortilla tastes pretty great after hours of hiking, and he learned how to drink stream water through a filter (and that it is so much better than bottled water!). 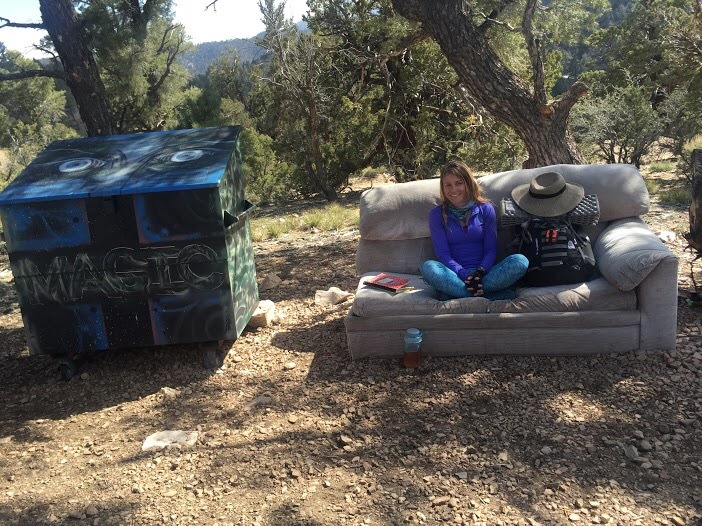 He encountered trail magic when we came upon a couch and a dumpster that used to be full of snacks we missed out on right in the middle of the trail (how the heck did someone even get it there?!). 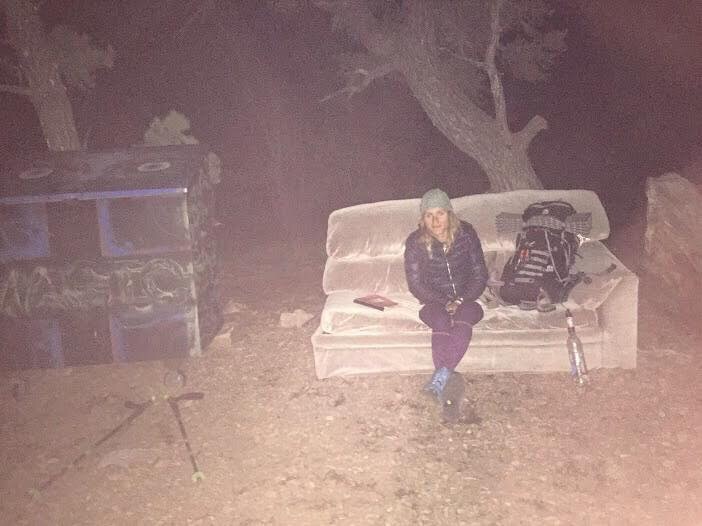 We spent the night in the woods and hiked backwards the next day to see the same trail (and couch + dumpster) in the daytime. And then we decided to reward ourselves with a hot tub, chocolate, coffee, and wine at an inn in Big Bear, and let me tell you about how awesome the place was! It is a quaint little animal-themed inn (we stayed in the Bear room, but the rooms are all named after different animals) called Spanik’s Nature’s Inn (listen up if you’re behind me or share it with those who are) that is absolutely the best place I’ve stayed while traveling. Why? 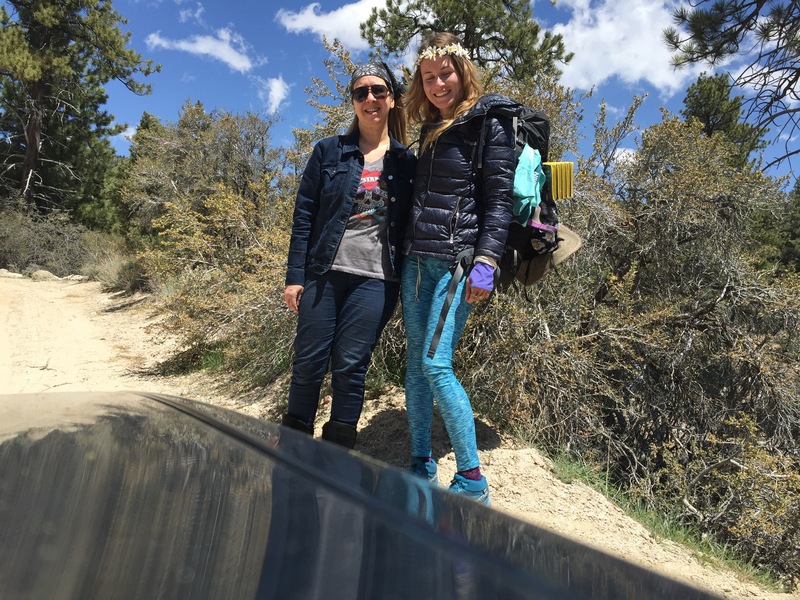 Because the hiker rate is $40 for a room, $50 for a room with a hot tub, and there’s also a $200 massive suite with a kitchen and backyard (where they’ll allow up to 6 people stay for $25 per person if over 3 people…because they know hikers are broke and like to share rooms). 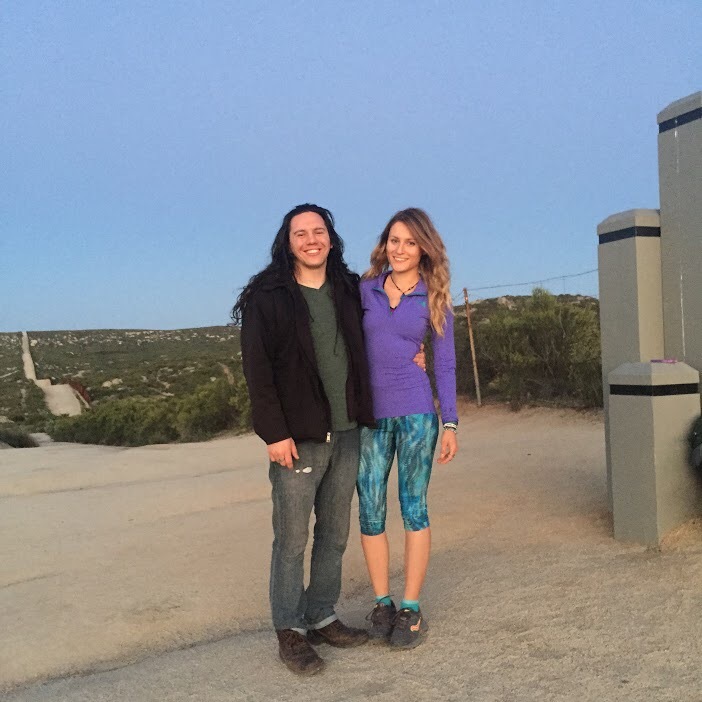 There is also a hiker room with a pool table, darts, books, board games, foot/back massages, epsom salt, bubble bath liquid, hot drinks, snacks, extra clothes to wear while doing laundry, a coin-operated laundromat block away, and about 10 huge hiker boxes. Contact info is in my itinerary if I’ve won you over. Also, I forgot my prescription sunglasses and Jerry, the manager, is mailing them for me to my next resupply stop. I mean, could their kindness and hospitality get any better? Thank you so much! 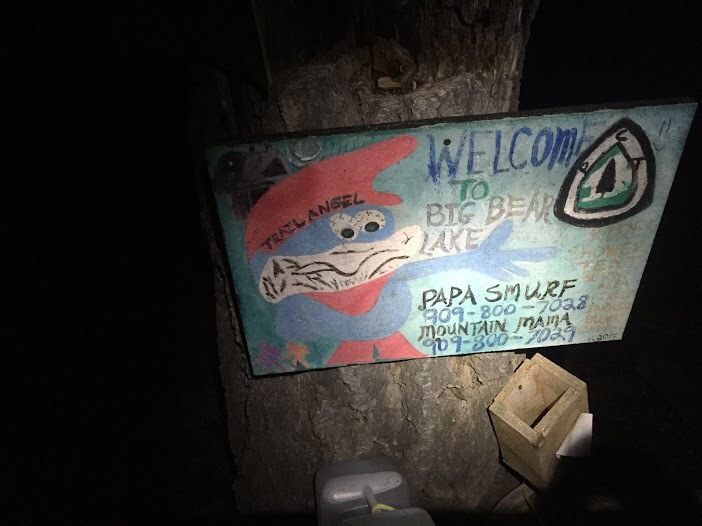 Also, Papa Smurf, a local trail angel, can take you to/from the trail. and then walked the rest of the 4 miles up Van Dussen, found the trail, and began hiking. 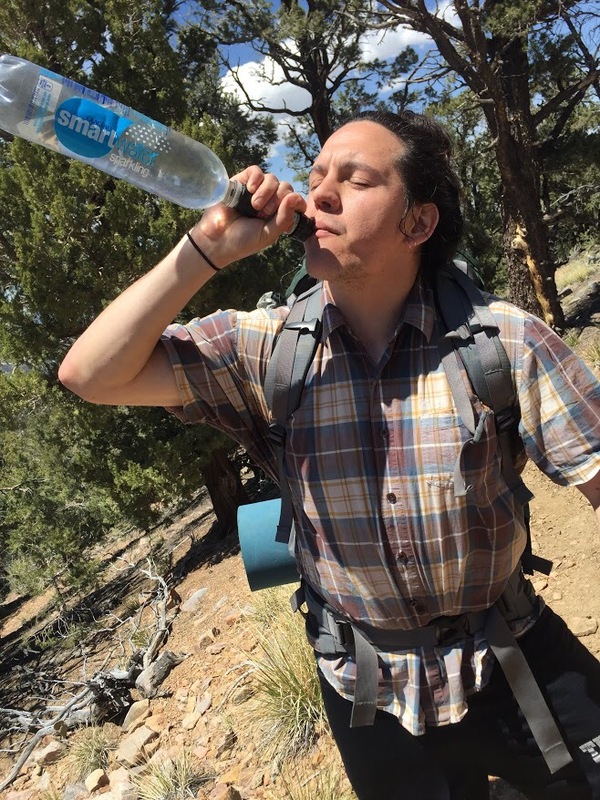 Two miles in, I realized I had a liter of Gatorade water, and there was no water for 10.7 miles, and I didn’t know if I could make it that far tonight, and even if I did, it would take me all day…in the sun…with no water. I checked my map and saw there was a stream south on the trail on the other side of the road about two miles back. I headed back there, and about half a mile down, found Papa Smurf’s gallons of water. Thank you! I’ve met so many good people out here, and I haven’t acknowledged/recognized all of them yet, but this is a start, I suppose. Once again, thank you everyone! This entry was posted in On Foot, pacific crest trail and tagged adventure, adventuring, backpacking, female backpacker, hike pct solo, long distance backpacking, long distance hiking, pacific crest trail, pct, pct hiker, solo female backpacker, solo female pct hiker, thru hike pct, thru-hike, thru-hiking, travel, travel on foot, traveling. Bookmark the permalink.